I didn’t think it was possible to outdo one of the most compelling documentaries about the atrocious Indonesian killings during the mid 60s, but never say never. Joshua Oppenheimer set out over the last decade or so to confront and interview the mass murderers and victims of the Indonesian killings. Oppenheimer got Errol Morris and Werner Herzog on board to to produce his documentary, which was called ‘The Act of Killing‘, which you could read our review by clicking HERE. ‘The Act of Killing‘ followed a few of these mass murderers who killed literally thousands of innocent people over the span of a year or two. These people were men, women, and children who were thought to be communists. These victims weren’t just shot in the head, but they were sadistically tortured and killed by a variety of ways. These murderers are still alive today and are considered heroes by the government, but are still feared by the common folk. It truly is unbelievable that the Indonesian government and paramilitary are still alive and well today, and are still in power, where these murderers walk free with no remorse. ‘The Act of Killing‘ earned an Oscar nomination for Best Documentary. 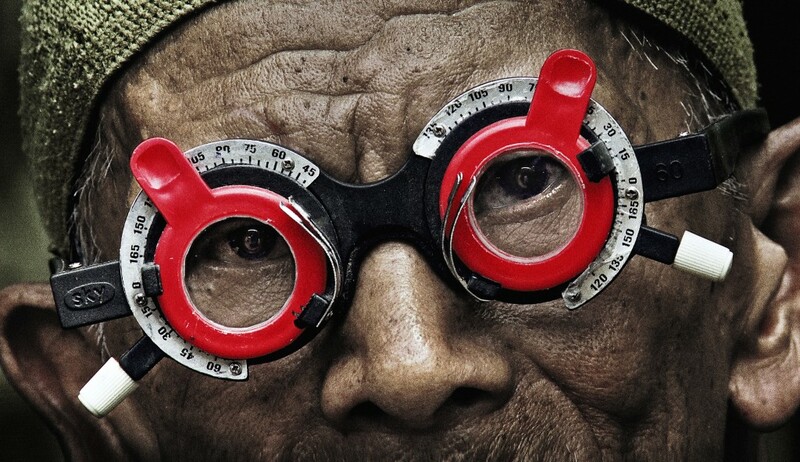 Needless to say, this documentary didn’t shed any good light on the Indonesian government nor the military, but Oppenheimer went back to make a follow up documentary, because his story is far from being over, which brings us to ‘The Look of Silence‘. This documentary is just as good if not better than ‘The Act of Killing‘ and will draw tears and actually keep you on the edge of your seat for fear of Oppenheimer’s life and his subject. ‘The Look of Silence‘ follows a single family, living in a small village in the heart of where the genocide of the 60s took place. The youngest son named Adi, who wasn’t born at the time, now has a family and helps people with their eye glass prescriptions. Adi sets out to confront the mass murderers who tortured and killed his older brother Ramli. His bottomless devotion doesn’t stop at confronting these people, but goes further into trying to get everyone in his country to seek the truth and start admitting what actually happened, because as we saw in ‘The Act of Killing‘, the people in power will never admit to anything. It brings tears to my eyes as Adi uses his very calm demeanor, holding back his own tears and big gulps of breath as he tries to get answers and the killers to admit what they had done. Throughout the film, Adi confronts the killers who were concomitantly involved with his brother’s death, then later in the film, he talks with the murderers who actually killed him. Each interview is more suspenseful than the one before it, as these people who are still in power are not too happy to be answering questions about this, which none of them actually want to come to terms with what they did. In fact, they still revel in the fact that they committed all these heinous crimes and consider themselves good people. It’s all so heartbreaking as Adi begins to put the pieces together of his brother’s death and who actually was involved, which hits closer to home than any of us would like to see. Adi is a simple man, but he is one of strong conviction to seek the truth without being a jerk. He is calm, collected, and always wise with his words and actions. He’s a deeply exceptional person, and you can’t help by connect with him on this very emotional journey. Oppenheimer is always by his side and with his camera, as he takes in the beautiful landscapes of Indonesia with his artistic eye. Almost every scene is a beautiful painting with so much pain behind it. I have no doubt that ‘The Look of Silence‘ will win more awards this year, and this continues to show us the Joshua Oppenheimer is one of the best documentary filmmakers working today. Film Review: ‘The Guy With The Knife’! Film Review: ‘7 Chinese Brothers’! This entry was posted on Monday, April 13th, 2015 at 2:50 pm	and is filed under Film, News. You can follow any responses to this entry through the RSS 2.0 feed. You can skip to the end and leave a response. Pinging is currently not allowed. « ‘Beauty and the Beast’ Brings Gugu Mbatha-Raw On Board!! !